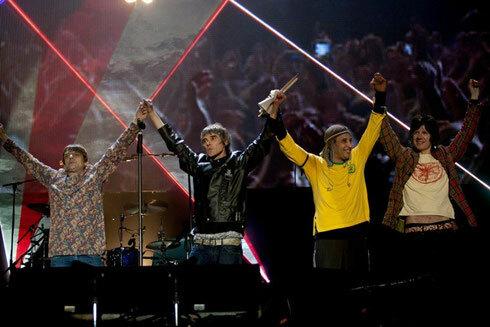 Ian Brown, John Squire, Mani and Reni, aka The Stone Roses, recently announced that they will play two concerts at Manchester Etihad Stadium in England and a headline appearance at T in the Park in Scotland for 2016. T in the Park organisers DF Concerts and founding partner Tennent’s Lager will welcome the band as the Friday headliners for the 2016 festival. The band are the first act to be announced for T in the Park 2016, which will take place over 8 – 10 July 2016 at Strathallan Castle. The two concerts at Manchester Etihad Stadium will take place on Friday 17 and Saturday 18 June. Tickets for all the gigs will go on sale this Friday at 9.30am. Further T in the Park 2016 line-up details will be revealed next year.